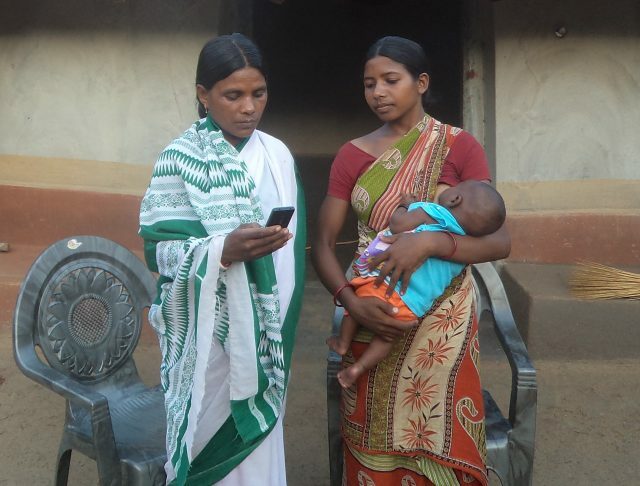 Welthungerhilfe's partner NEEDS has introduced a mobile app that supports ASHAs while counselling pregnant women and new mothers in Litipara block of Jharkhand. An experience she didn’t have earlier. “This was my second pregnancy and suddenly I see a mobile reminding me of my health check-ups. I felt so special and being taken care off,” said Phulmani. She thanks the Sahiyya (Accredited Social Health Activists or ASHA) and her mobile for standing by her throughout the nine months. Phulmani had a safe delivery. Her baby is growing well. Despite the government’s efforts to reduce maternal and infant deaths and improve the quality of healthcare, the figures remain high. According to WHO, at least one woman dies during pregnancy and childbirth every five minutes in India. In Phulmani’s state of Jharkhand, the situation is more serious. Over 200 women die out of every one hundred thousand live births there, while the Infant Mortality rates are high at 44 per 1000 live births. According to the National Family Health Survey (NHFS) IV, nearly 67 percent women in the reproductive age group in rural areas are anaemic. 48 percent children in the rural areas of the state are stunted while 50 percent (under five) are underweight. Phulmani’s village is located in Pakur, one of the most underdeveloped districts of the state. 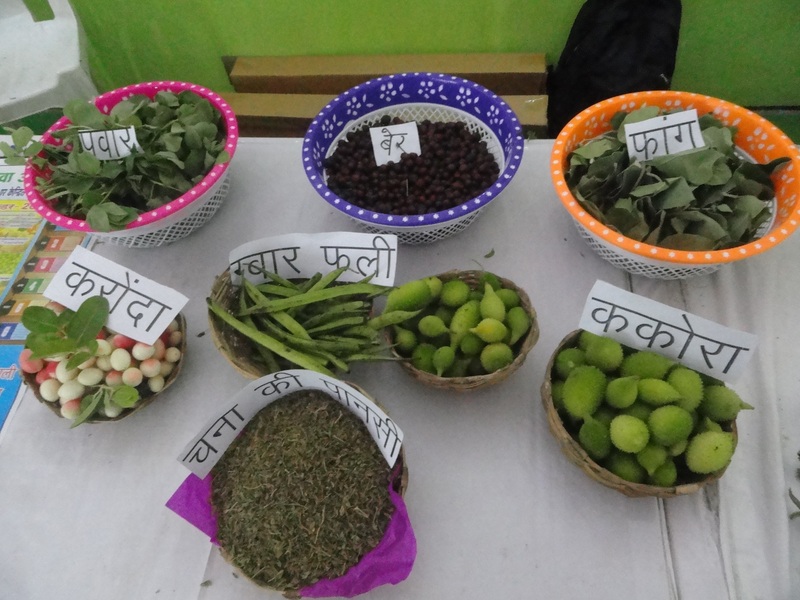 Most of the community members in the village are dependent on seasonal agriculture, however, during the lean period, they work as daily wage labourers. Some women make Beedis (Indian handmade cigarettes) for a living. But they often cannot afford two square meals a day. Women like Phulmani face obstacles during pregnancy, delivery and after that due to lack of healthcare facilities. Often they don’t get the care they need. Their nearby health centres do not have facilities to attend high-risk cases. In order to get medical tests done, they either have to go to higher facilities at the district level, which are often overcrowded or are at a distance away from their homes or to go to private doctors, who have high consultation fees. To help improve the access to quality care, Welthungerhilfe’s partner NEEDS has introduced a mobile application in her village. 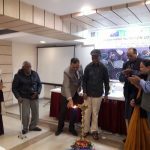 Named “Mobile for Mothers” (MfM), the app has been rolled out in collaboration with the Rural Health Mission of the Government of Jharkhand under the EU funded ‘Initiative for transparency and Good Governance” in Litipara, a block comprising 270 villages. 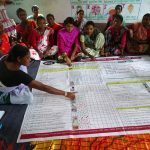 The software, piloted by NEEDS in one of its earlier programmes in 2011, has been designed to support ASHAs (or Sahiyyas) in their work in the Litipara block, one of the poorest areas of the state. 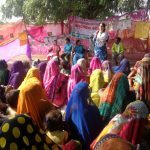 These village-level female public health workers form a link between the rural women and healthcare facilities to promote safe institutional deliveries, improve maternal health and reduce child mortality. Right from registering an expectant mother, ensuring their timely vaccinations, identifying those at high risk and referring them to health facilities to counselling those who need to adopt healthier behaviours, ASHAs’ job includes multiple responsibilities. In a nutshell, they provide care to women and children, when they need it the most. And this job aid, consisting texts, images and audios, comes in very handy to them. “The app is very easy to use and practical,” says Stella Tudu, an ASHA worker from Banru village of Litipara block. “First I feed the details of expectant mothers using this app and then, according to the schedule generated, I visit their homes to share the information,” explains Stella. “Once the ASHAs capture the data, it is sent to a server via mobile phone and NEEDS compiles it,” says Rohit Singh Deo, the coordinator of the Mobile for Mother programme at the organisation. “Then it gives the information to ASHAs, who then counsel expectant mothers accordingly,” he says. Though, the start for ASHAs was not without hiccups. “The mobile phone and the app were very new to us and many of us were apprehensive if we could use it without difficulty,” says Stella. “Initially I used to take the help of the boy next door. I used to write information manually and ask him to help me feed it. But slowly I became confident to use it on my own,” she adds. And she is doing it impeccably well. 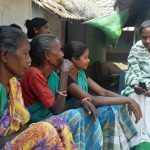 Through the app, ASHAs can easily maintain an accurate record of pregnant women, identify those with high-risk symptoms, and offer effective counselling on antenatal care and immunisation, thereby increasing the demand for health services and improving the quality of interaction between the ASHA and the expectant mothers. “Before the introduction of this app, I focussed more on sending women to hospitals for delivery. That was the prime source of incentives for me. But after I have learned to use this application, I have begun to spend more time with women, counselling them about their needs and the services available to them, if I forget to tell them anything, the app helps me remind it. It has made my work easy,” says Stella. Like Stella, 165 ASHA workers have been trained to use this application in Litipara. Implemented across the entire block, the app has been able to successfully benefit almost 590 women so far. Women given care using the app have admitted that they are more aware of services available at public health facilities now. “We have been able to drastically reduce our expenses by accessing services which exist free of cost or at nominal charges for them at government facilities,” says Phulmani. The fact that women are able to use public facilities for safe delivery and that they are more aware of their newborns and their health hint at a steady behaviour change as well. ASHA workers, on the other hand, feel more empowered and confident while counselling women on safe pregnancy and delivery. For someone like Stella, who have been using it during her job consistently, it is rather rewarding. “I was recently hailed for registering the highest number of pregnant women through Mobile for Mother Application and for advising women on ANC and safe institutional delivery,” says Stella proudly. 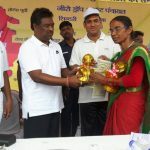 Recognised recently as the best ASHA in her block, she has been felicitated by the state authorities and rewarded with a two-wheeler for her work. The ‘Initiative for Transparent and Accountable Governance Systems’ is being implemented in Jharkhand since 2014. The focus of the programme is on improving food and nutrition security, building capacities of civil society organizations, strengthening local government institutions, empowering people to access entitlements, and promoting good governance’. Poor access to health care services is one of the major contributing factors to high levels of malnutrition in the state. The European Union supported programme, on the one hand, seeks to address community perceptions and food practices and on the other hand, works towards improving the access to quality public services keeping accountability, equity, empowerment and sustainability in mind.